Father and son classic car collectors, the aptly-named Alan and James Old, are reducing their collection of classics as they push towards the sale of their last commercial premises at Broadmayne, near Dorchester. Olds has been a familiar name to Dorset and Somerset motorists for many decades and over the years the family firm has held franchises for Citroen, Peugeot, Rover, Nissan, Jeep, Alfa Romeo, Fiat, Volvo, and Saab as well as the Rootes Group marques Singer, Hillman, Sunbeam, and Humber. 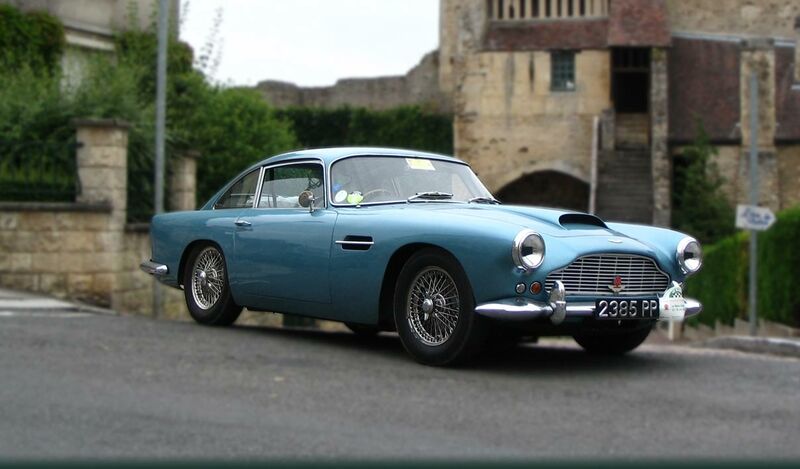 Between them Alan and James have a varied personal collection, some of which are now going under the hammer at the next Dorset Vintage and Classic Auctions event at Athelhampton House on November 29. James is parting with two Citroens that reflect the extremes of the range when they were made, a 1989 CX DTR Turbo Safari (guide price £5,000-7,000) and a 1991 AX GT (£6,000-8,000), a rarer, more practical, five door car that has covered around 25,000 miles and only 600 of them in the last decade. 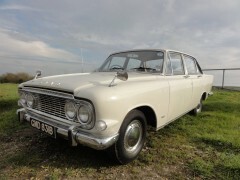 Meanwhile, his father, Alan, is offering a 1956 Mk1 Zephyr Zodiac (£10,000-12,000) and a 1963 Mk III Zodiac (£5,000-8,000) that has covered fewer than 90,000 miles. Between these two came the Mk II, represented at the sale by Alan’s 1962 Consul (£1,000-3,000). Unlike the other two, which are almost concours, the Consul is a restoration project but believed to be complete, with only one previous Dorset owner and still to reach 55,000 miles. 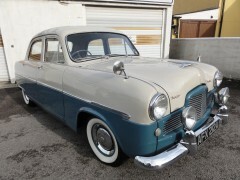 Strangely, Ford was a brand that Olds never represented but Alan fell in love with when his father was asked in the 50s to swap an order for a Prefect and take delivery of a Zephyr. Alan has also entered a 1957 Hillman Minx Series 1 saloon (£5,000-8,000) for the sale – it’s showing a recorded mileage of fewer than 35,000. He saw it in the street around 50 years ago, put a note under the windscreen wiper, and bought it the next day. Among the latest additions to the catalogue is a trio of Austins, two pre-war and the other more modern but still a highly sought-after classic. Earliest is a 1930 7 RK Fabric Saloon (£8,000-9,000) and manufactured shortly after, in 1933 and illustrating the huge advances in car manufacture over a very short period of time, is a 10/4 saloon (£5,500-6,500). Leap forward to 1979, and the now-modified Mini Clubman estate in the highly-visible bright orange with stick-on mock wood stripes, hit the road. It has flared arches, wider Minilite wheels, and a peaked sun visor above the windscreen as well as leather bucket seats, all modifications making it more practical for daily use. Those who hanker after Mercedes Benz motoring on a limited budget could be sorely tempted by a 1999 E320 saloon (£750-1,250) as their daily driver but if something classy, fast, and perfect for pillarless coupe motoring in the summer is more the thing then a 1988 500 SEC auto coupe (£2,000-3,000) could be the perfect, well-engineered, way to achieve a dream. Towing a horsebox or hefty caravan next summer, after a winter of perfect mobility, could be easier with the 2002 Mitsubishi Shogun GDi Equippe Auto SWB (£1,000-2,000) while the 1969 Morris Minor 1000 Traveller (£6,000-7,000) might make the ideal conveyance for picnic hampers and baskets when the sun returns and carrying provisions from the supermarket while warmer weather is denied us. Perhaps a basket strapped to the twin spare wheels on the rear of the 1934 MG PA Midget (£25,000-30,000) might be the perfect way to approach next summer, after purchase of a striped blazer and straw boater, naturally. “The addition of the Old collection cars to the vehicles already submitted from the Smalley collection that includes Commer and ERF flatbed trucks is bringing an eclectic mix to the last DVCA sale of the year,” says Brian, auction director.